We Have Been Shortlisted for the Best Small Shop in Britain! « Mel Stride Supports Our Best Small Shop Application! We are pleased to announce that Ilsington Village Shop has been shortlisted as one of the top 20 entries to the Best Small Shops Competition 2015. Your business was selected by an independent panel of judges from hundreds of high quality applicants from a wide range of retail sectors throughout the UK. 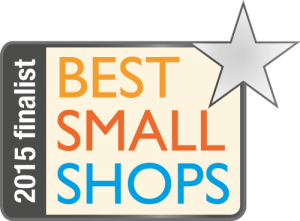 The Best Small Shop 2015 will be chosen from the 20 shortlisted shops and announced at the All Party Parliamentary Small Shops Group, Westminster Reception on 25th February 2015. Well done, everybody, and fingers crossed we win!